If you have stayed at Apple Tree Cottage we would love to hear from you. Please click 'Add Guestbook Entry' below to write a brief review. Also see the reviews on our Facebook page. Apple Tree Cottage has been the perfect place to say goodbye to 2018 and greet 2019. It is a beautifully and generously appointed cottage - light and cosy and Rosie made us very welcome. We've enjoyed the local sights and the highlight was a sunny visit to Stonehenge on New Years Day. Thank you for a lovely stay: will recommend highly. A fabulous week in a lovely cottage in a perfect location. What more could we ask! Very comfortable, especially the bed with beautiful bedding. Everything we need was provided including a welcome pack. Our dogs enjoyed their walks in magical Bentley Wood, as indeed we did. Thank you Rosie. A wonderful find at short notice and so many places to visit. We even managed to fit in an afternoon at Highclere Castle (without pre-booking!). A very comfortable and relaxing week: thank you. 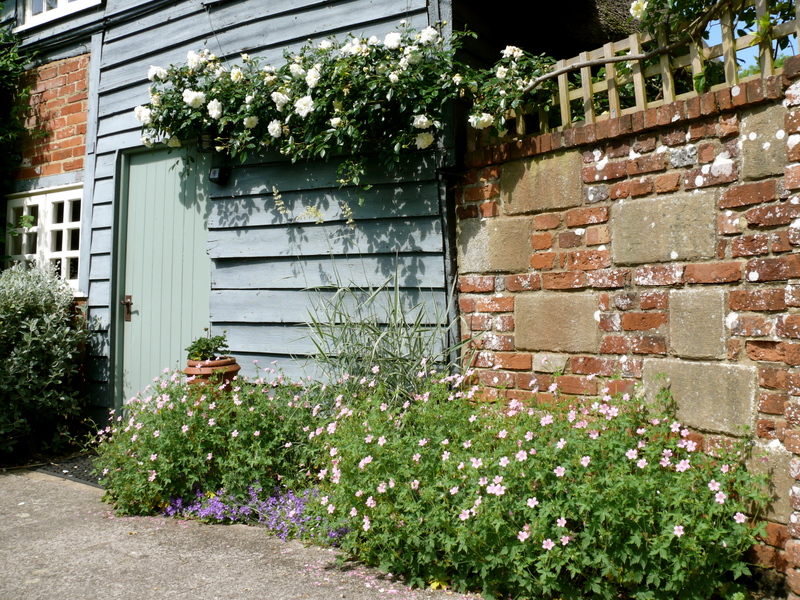 Apple Tree Cottage is the perfect place to explore the counties of Wiltshire and Hampshire. Walking from the door into Bentley Wood you are almost guaranteed to see deer, infact, they stand and watch you! We had a wonderful stay, the cottage is well equipped and comfy and Rosie provides that little extra touch; with delicious flapjacks, ground coffee, jug of milk and the essentials; tea, washing up liquid/tablets, kitchen towels, loo rolls etc., meaning you don't have to take it all with you. You have thought of everything including the local amenities and attractions information, board games, magazines and DVDs. Plus details like tin foil, washing up liquid not to mention ground coffee, milk and flapjacks! Thank you so much - the perfect escape! Absolutely lovely stay in this gorgeous little cottage. Well equipped, cosy and lovely decor and furnishings. Had a great walk in the woods and saw a herd of 20 deer run across our path: WOW! We enjoyed ourselves so much and thought your cottage was fantastic. I loved the fact there were games and CDs to watch instead of TV. Thanks for providing maps too - it was all great! A lovely week made possible by this lovely cottage - everything you need catered for. So quiet and peaceful and we were lucky enough to breakfast outside with birdsong every morning. Thank you! We had a lovely break. Everything provided for. Need not bring so much with me next time! Lovely walks in Bentley Wood. Beautiful part of the country. Thank you. The cottage is wonderful. Dad and I had a very relaxing few days. The milk and flapjacks were a really welcome sight after a long journey. Hope to see you again soon. We had a lovely time, the cottage is beautiful and everything has been thought of. The girls loved it and the dog loved the woods! Thank you so much for such a lovely place. It is all lovely. I can't remember the last time we slept so well. The children loved watching the birds feeding the chicks in the summer house. We adored your little cottage. Bramble had excellent fun. Thank you for your warm welcome and graciousness. A beautiful week. I haven't slept so well for months! We absolutely loved the cottage, it was perfect (so well equipped!) and will definitely come back! We had a wonderful time in this well equipped and truly delightful cottage. It couldn't have been better placed to enjoy Salisbury and The New Forest. Having the woods on the doorstep was great for an after dinner stroll. We saw lots of deer and Saffron our dog had a fabulous time exploring. Waitrose in Salisbury meant great food without 'proper cooking'. Thank you for your ability to be helpful yet completely unobtrusive. Thank you for a relaxing break in this delightful little cottage. All the thoughtful little touches that make it a 'home from home' were most welcome. We have enjoyed our stay and will recommend to our friends. Absolutely gorgeous cottage. We had a great time relaxing and walking in the woods. Grace our dog loved the woods. Thank you so much. A lovely hideaway in beautiful surroundings. The cottage is delightful and we feel really rested. The perfect get away retreat. Thanks again. What a beautiful cosy cottage - we've had a lovely time and felt very comfortable here. You have thought of everything. Comfortable, cosy, excellent centre. We really appreciated the quiet and the peacefulness. Maps and up-to-date visitor information really useful - thank you very much. A big thank you for making us feel so welcome. We loved the walks and Salisbury itself and were lucky enough to see the Magna Carta in the Cathedral. I am sure we will be back. Wish we could have stayed longer in this lovely cottage and location. Beautiful walks on the doorstep and so much to do out and about. We have had a great week and would like to come again. Thank you. Thank you for a very enjoyable and comfortable stay. Bluebell woods glorious this time of year. Many a happy time walked with our Jack Russell Lou. She enjoyed it too! A quiet and relaxing stay was just what we needed. Thank you again. A memorable tour of the area, returning each evening to the cosy cottage. We leave totally refreshed and looking forward to coming back to see all those places we didn't have time to see this time. Have had a lovely week at your beautiful cottage! The children loved going for walks in the woods - especially at night! We've had an absolutely brilliant week. Peppa Pig World (twice! ), Furzey Gardens (magical), Stonehenge....and walks in the woods (no deer though, probably due to 2 very noisy toddlers!) Apple Tree Cottage has had everything we needed - its been cosy and comfortable. We'd love to come back! We have had a lovely week in Apple Tree Cottage. Very, very well equipped. Thank you for your warm welcome and sharing this lovely cottage. We felt at home immediately! We enjoyed the fully equipped kitchen, the swallows, the gardens, the woods, all the games and all the places we've visited: WInchester (top! ), Bath (top!) Oxford (top! ), New Forest (superb!) Portsmouth (surprising) and Stonehenge (mystical).